In India, earlier it was only Delhi that had been dealing with environmental issues like air pollution and smog. The situation got so serious that the government had to issue a ban on vehicles on road. The result of which, we saw the odd-even system. The situation now is a bit more serious one. Metro cities, notably Mumbai, are dealing with air pollution and the citizens are falling ill due to the same. Finally, the government has stepped in to curb the pollution. They promised that they are planning to drop the air pollution by 20 to 30% in 102 cities by 2024. The target is part of the environment ministry’s National Clean Air Programme (NCAP) which is to be released in the next few days. Cities like Mumbai, Pune, Varanasi, Kanpur, Lucknow, Allahabad, Kolkata and Bengaluru are on priority. 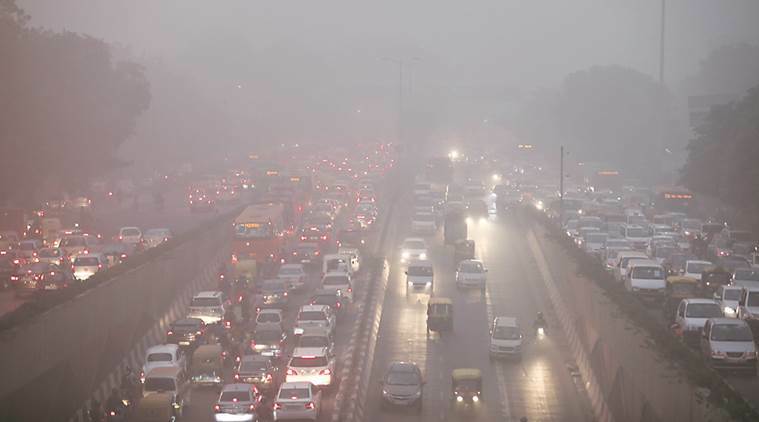 “Overall objective of the NCAP is a comprehensive management plan for prevention, control and abatement of air pollution besides augmenting the air quality monitoring network across the country,” said additional secretary in environment ministry, A K Jain. The programme will focus on “collaborative and participatory approach” covering all sources of pollution (power plants, transport, industry, residential and agriculture sectors) and coordination between relevant central ministries, state governments, local bodies, and other stakeholders, he added. The basic motive is to improve the Air Quality Index of major cities.